Is a Business Degree a Waste? Is a Business Degree Worth It? Is a Business Degree a Waste? Is a business management degree worth it? I keep hearing people/news outlets arguing at opposite ends of what seems to be a common question. Short answer – NO! I don't think a business degree is anywhere near being a waste. 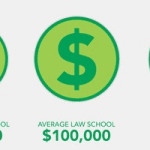 A business degree is worth it in many cases. 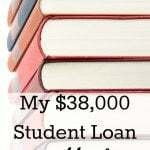 EDIT: Please read my post about how I paid off $40,000 worth of student loans shortly after I turned 24. Recently, I read an interesting article about whether a business degree is a waste or a good decision. So when they say business degree, I'm assuming this includes Finance, Economics, Accounting, etc. Personally I think a business degree is a great choice. It can open many doors and in some instances make you well rounded because of the wide range of classes which are usually available. There are also many jobs and careers out there that involve a business degree. And as I said in the paragraph above, there are so many majors: finance, economics, accounting, management, health administration, marketing, operations, strategy, international business and so on. As long as you are realistic about getting your degree and what you plan on doing with it, I don't think there are many instances in which a degree can be a bad choice or a waste. 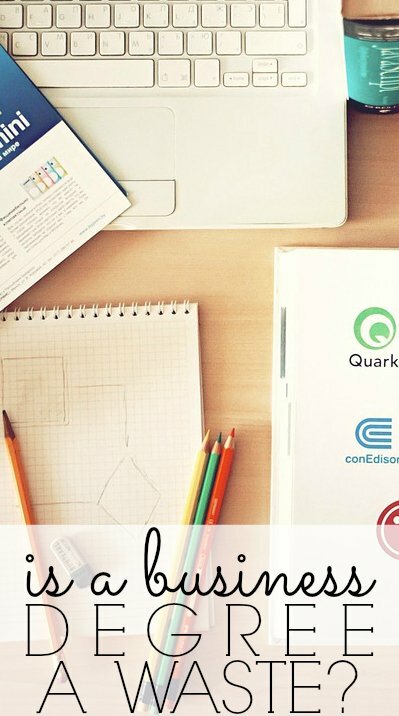 Read my post How To Pay for Graduate School if you haven't yet. Today's post somewhat relates to that. If you know what you want to do and also see value in it, then go for it. If you are unsure and question every move you make, then you might want to stop and think about what you truly want. Also, most of my friends who graduated with business degrees have found jobs, whereas some of my friends who have other majors are having a much harder time. I would never say that getting a business degree is a complete waste. Of course I am biased when it comes to this post, as my undergraduate degrees are a B.S. in Business Administration and a B.A. in Management. And then I also have a Finance MBA. So yes, I have THREE business degrees. I do like/enjoy the life I live, so that is probably another reason why I am biased. I am sure that if I couldn't find a job, that I would question whether having a business degree is truly worthwhile to me. The biggest complaint: The undergraduate degrees focus too much on the nuts and bolts of finance and accounting and don't develop enough critical thinking and problem-solving skills through long essays, in-class debates and other hallmarks of liberal-arts courses. However, I think most majors are similar to this. I started off as a Psychology major in the beginning, and I definitely wouldn't say it was that much different. Everything is mainly there for you to break into the subject, and then I think you should pursue some sort of emphasis or focus for yourself. 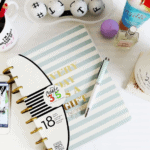 This can include getting a job internship or focusing on a particular study within your degree. According to the article, business majors account for around 20%, social sciences and history account for 11%, health professions at 8%, education at 6%, and the list goes on and on. For information about a masters of business administration, click here. 1. Do the professors have “real” experience? I think this is extremely important. In classes where my professors had no actual business experience (there were very few of these professors at the schools I attended), I found the classes were just boring. It's hard to listen to someone when you have more experience than them in the subject that they are trying to “teach.” I like to know how I can apply what I learn to REAL situations and how a professor has applied it in the past. 2. Does the student work? This can include volunteering, a part-time or full-time job, etc. I think real world experience is important. If you work while you go to school, you are most likely applying what you learn as you learn it. I am more able to remember things if I can apply it as I learn. Or if you worked in the past, then you will be able to analyze your past behaviors. I worked full-time all throughout undergraduate, and had a full-time career during my MBA program (same job I have today). You have a lot more to contribute to your classes when you have some experience. 3. What school are you attending? Of course some schools are harder than others, and this might make it more “worth it.” There are different tier levels for school. Are you going to the best value? Or are you just going to the cheapest or the most expensive? 4. What do you see yourself doing in the future? Is this degree worth it to you and what you envisioned for your life? If you want to be a veterinarian but go to school for social work, well, that's just a tad confusing. Make sure it lines up with what you want to do. I somewhat agree with this. If getting a degree is now becoming the “norm,” then what's next? Obviously individuals are going to have to up the ante somehow. I do think that a business degree is mainly a stepping stone, and college degrees are becoming the norm. Many things need to be done to differentiate yourself from the tons of other individuals out there. Worked full-time and earned great experience all throughout undergrad as a retail manager. I now have a great career in the financial services industry. Finishing up with my financial certification this year (it's a process that takes a couple of years to earn and I've been working on it since the Summer of 2010). What is/was your major? Do you think it was worthwhile? I've got a Bachelor in Business Admin and completely agree with your stance in the article. I was able to find a job (using my degree) within 6 months of graduation. I have friends, who 6 years later, are still working in call centres or retail stores. Almost all of the people I know have gone back to university, or college, to supplement their degree (myself included). In this economy its almost necessary to continue to expand your knowledgebase to make yourself more attractive to potential employers. The main statement regarding undergraduate degrees not focusing on analytical thinking, I'm not sure what undergraduate degrees are like in the US but in Canada you take a fair amount of liberal arts courses. I've written many long-essay type assignments, as well as, class discussions. You are also required to take language courses, they want you to be a well-rounded individual when your through. I agree Amy! I'm not sure what they're talking about either. When I went to school, we were required to take all types of classes such as psychology, philosophy, science, etc. My recent post Is a Business Degree a Waste? 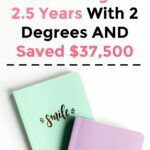 I definitely agree with you that getting a business degree is NOT a waste! I am very happy with my finance undergrad and I know many others who are gainfully employed upon graduation. I should say there are many who are not employed, though, but that's more the economy as a whole to blame. Ironically I am reconsidering getting my MBA, though, as I write in my post today. Man, I really don't get the US system – how can you have a Bachelor of Science in Business Administration (or even Journalism as I've seen) or a Bachelor of Arts in Management? Here we actually have a Bachelor in Commerce or Business which makes a lot more sense. I wouldn't say my business degree friends have been any more or less successful in particular than the rest of us. Finance and accounting seem to be pretty solid bets, though maybe not so much with other majors. I'm completely happy with my comms/journalism degree (something that also gets slammed as a waste of money, which I rebut here http://nzmuse.com/2011/05/what-it-means-to-have-a… though I'm not sure what I want to do long term with media changing so quickly. Who knows – in five years I might be doing a job that doesn't even exist now. eemusings I agree with you. I think it's weird to classify business as a science. I'm assuming that's what you meant? Since I am also taking a B.Comm which is its own Bachelor degree "category" and doesn't fall within sciences or arts. Great points Michelle! I got my MBA in Finance a few years ago. Though it was not the road to riches that was communicated to me it has been an immense help to me. I could not agree more on #1. The professors who had actual experience would generally make the experience much better and you could pick the mind of someone doing what you wanted. Otherwise, it's just textbook learning which can be very limiting. Thanks John! Yeah I'm not a fan of textbook learning. John did you MBA program not have a mandatory work experience/placement component? I got my undergrad degree in Aero/Astro Engineering and then went and got a MBA in Finance. I don't regret either decision and even though I don't practice engineering anymore, the skills I learned can be applied to many situations and are still high in demand. I even get head hunters trying to convince me to go back to engineering. My MBA program was very well done and many professors had come over from the working world. I really enjoyed that we did a lot of case study work where you could apply the theories to real world situations. It was great! I agree with you. The skills are great to have. I have a business degree with concentration in marketing. I don't think it was a waste, but I do think that I went above and beyond and gained experience before I was out of college. I don't have multiple degrees, but I do have a lot of experience and that seems to sell these days. I would never think a business degree is a waste. I would think one in Liberal Arts might be close to that line. My recent post Why Do Sales Make Us Irrational Shoppers? I agree. I personally think experience is best, which is why I made sure to work full-time throughout college. I always saw a business degree as one of the best degrees to get as you can work for pretty much any company when you have one. Plus if you decide to do a double, then a business degree is pretty much a must have. I added a business minor to my communications degree- although it stressed me out and made my course load so full in college, I'm glad I have it. It makes me more well-rounded I say! Yes I would definitely do that! That's a good idea. Undergraduate business degrees are worthless. I think they're glorified trade school degrees, mostly because they focus so much on the "nuts and bolts" that the original article mentioned. College is about learning to learn, think critically, write well, and to prepare you to operate in the real world on all levels. I think business degrees miss out on LOTS when they don't focus on writing or critical thinking. With the exception of economics (and maybe accounting), I don't think that colleges should offer business-type majors. I think that there should be business apprenticeship programs- internships and the like, because on-the-job learning is so much more valuable than textbook and classroom learning. For the record, I feel the same way about my social work major- something best learned on the job has now been molded into its own undergraduate degree, and I get annoyed that it's a prerequisite for working in the field. I do think experience is better than schooling though. I always worked full-time throughout school and learned a lot from it. It looked great on my resume too since not many people work full-time in school. I hate to say this but the reason why it is good have a business degree, math degree or a computer science degree is because employers see this and it it's like an automatic okay this person is a potential candidate. When they don't see any form of a degree then well it's going to be harder to get that job I feel. Recently I found out that because I have a math degree I am making 10 grand more than an another employee. I was floored, but it's motivating me to even get more of a degree…maybe a Graduate degree or something to push myself higher in the running as well. I agree, that is how many employers feel. I think if a degree with help you in your chosen field, as long as it is specific to it, I say go for it! There are things that they teach you in college that you need to know that you won't learn anywhere else. If you aren't satisfied with one, you could always do what I did and keep getting degrees…haha! Of course I only advocate this if it's free or nearly free as mine were. Now I have a BS in International Business & Marketing, an MA in Psych and an MEd in Education. The varied collection has helped me stand out from the crowd as they're all applicable to most jobs in one way or another. But then again, I love school and like to challenge myself to go back for free as a personal growth endeavor so maybe my story/situation isn't the norm. If I could go back for free, then I definitely think I would! I graduated in Communications: Advertising with Graphic Design and Spanish minors. Was it worth it? Yes. But the further I trudge down my career path, I realize how little people look care about where you graduated from or what your GPA was. I think the biggest ROI on college is networking. Every job since college has come as a result of someone I knew or a fellow alumnus from my school. My recent post Where Did All the Thank-You’s Go? I agree. In the beginning it can help you get a job, but of course eventually you have to actually be GOOD at what you do. I got my undergraduate degree in liberal arts and am getting my MBA right now. I am learning a lot, yes, but the MBA is also a vehicle for me to make a career switch into a field that NEEDS an MBA. I wouldn't say that a business degree or MBA is a categorical "good" or "bad" idea, a person needs to be very sure of the financial and time commitment before they dive in, and understand how that degree will help them get to where they want to go. I agree! And I'm in the same situation. An MBA is needed for my job and that's why I got one. I have a BS in Business with almost a concentration in accounting. I used my degree to learn about how businesses work and eventaully went out on my own (at 38 y.o.). That was 28 years ago! Agreed wholeheartedly. After college, I was able to find a job right away. I can't compare it to other majors but the different types of jobs I was able to apply to and interview for were wide-ranging. Now being in law school, the B.S. in Business is essential. A ton of lawyers that work in every type of field that I've talked to or have presented at my school always stress that any type of business background is great for law. Business is everywhere, and having that understanding of business helps…it can help with intellectual property, criminal law, family law, etc. because you're always involved in splitting up assets, understanding bankruptcy, just anything. Great post! My recent post How Can Technology Help with Household Costs? I've done really well with no degree at all. I think they can be important, but as time goes on I think less and less people will attend college, and go the less traditional route. 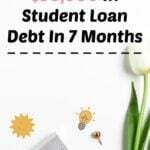 If you don't know what you want to do right out of high school, college can be a great choice, but there are so many ways to become successful without starting life at 21 with $27k in the hole. I agree. W has done really well and makes more money than I do (that's with including my extra income too) and he didn't go to college. I`m finishing up my major in English Literature, and my minor in general linguistics. And I think it`s worth it. Because this fall I`m applying for a one-year teacher education, and then I`ll be a qualified English teacher with a really good background in both language and literature. And here in Norway, there is a demand for good language teachers, and the salary is very good. per 2012 the entry level pay is $70k. I have to say though, I`m exhausted by being verbally attacked for choosing this path. Countless of times, strangers, yes strangers, have been extremely critical of my choice, and I think that`s so rude. It happened during a wedding I attended once!! Don't listen to people! Like I said, if you see value in it (which I see value in it as well), then how could it be a bad idea? I have a master in business and haven't learned much but the networking potential is huge. If you have a knack for business chances are you won't learn a lot more but a degree makes you hirable. I used to think business degrees were a joke (because all the online schools were offering a bachelors in business in two years), until I met some friends with the degree. Most of them are doing pretty well for themselves, and I have actually been thinking about getting a MBA. I think in this case the school you go to really does matter. A lot of degrees – it doesn't matter what school you go to, but this one I think it does. I agree, the school is really important when it comes to a business degree. I agree with everything you said! As long as you know what to expect from it and are realistic, then I feel as though it can never be a bad idea. My business degree in accounting definitely was not a waste. I got an awesome job and decent pay compared to a lot of my liberal arts friends that work as servers still to this day because they can't find a job in their field. Be smart about your degree and investigate for yourself. Don't let the media influence your decisions. However, also said that getting a business management degree wasn't necessarily going to get you a job because if you lack experience, you won't get a management position. So it's important to decide which area to focus on in business as well. But overall, a business degree can help get your foot in the door so you can learn how the business works. Business is required to hand-on experience. Accounting requires a lot of technique knowledge, a reason that people who do accounting are required to learn regulations and accounting rules in school. Business is complex and has many varieties and business schools usually give students business cases from big corporations. Yet only handful business students are able to go to work in big corporations and most will be stuck in small businesses. Each business has its own way of surviving in business world. Therefore, it is not practical for students to study business practices in business school. Therefore, business degrees are not so valuable. the reason those who study business major to get a good job is not because they have a business degree but their working experience in real business world. I hope that my point is clear! My husband is working on MBA right now and I know his salary isn't going to double after he graduates. But we're looking at the long term affect. Hopefully all his hard work and our student loans will be worth it in the end. I had a choice between going for an MBA or an advanced technical certification (there wasn't time or money in my life for both). I chose the MBA and don't regret it. It's helped me in landing jobs I otherwise would not have been considered for. I think an advanced degree is essential for anyone that plans on a career in the corporate world. The one thing that has started to bother me over the years are the online degrees. I know someone that received their MBA without once ever setting foot in a school environment. This may sound cruel (please forgive me) but this particular person doesn't have enough "smarts" to not step in a mud hole if it's staring them in the face. the reason it bothers me is that I think it dilutes the value of my MBA. I am getting my bachelors online, but agree that actually being in a classroom setting is beneficial for some classes, but not all. I would say for an MBA, classroom is a must. Sometimes I feel like getting my bachelor’s is just checking classes off a list, but I’m assuming there’s a lot more that goes on in an MBA class than reading and being tested on a business textbook like my operations 101 class.. I dont consider any degree a waste, unless you get a MD or a JD and you become a trash collector. A business degree exposes you to a lot of great topics, but I do believe having instructors who have real world experience is the key! My degree is Information Systems with an emphasis in Business Intelligence. Information Systems is pretty much a combination of a Business degree and a Computer Science degree. I think a Business degree is one of the best degrees you can get. That being said, you really do have to go above and beyond to make yourself stand out from the crowd. In my opinion, business degrees are great complimentary degrees to be paired with either experience or other degrees. Business degrees are really good in conjunction with another degree. I want to double major in music performance and a business degree. That way I can go into the music industry, or the business industry. My brother has his MBA, and he is currently going back to school to become a doctor of physical therapy, so that he can own his own practice. The business degree is the new MD! I got my BS in Global Business, MS in Supply Chain, and I'm about to have my MBA. Hmm this post is so interesting because I have a degree in business, specifically, a Commerce degree in Marketing Management. I've definitely found my degree to be useful for finding employment right out of school, and I can work in almost any industry, since every business, not for profit and most government agencies needs some form of marketing. That said, I would consider going to college to get an applied technology diploma in graphic design or something similar to give me the skills to back up the soft skills that I learned in university. All in all I think it's a solid investment that will lead to employment, but like any degree, you can do a lot with it, or you can do a little with it. Great perspective. I have a similar post on this topic next week! I think lots depends on the person. If you expect that you'll graduate and someone will just walk up and offer your dream job, you might be disappointed. It's the ones, like you, who work their tail off and go above and beyond who end up using the degree as just one of many reasons why an employer would want to hire you. A degree by itself without being proactive will not get very far in my opinion. I definitely agree as well, and am biased since I am taking a Bachelor of Commerce and have almost completed my degree. I've written a post before on degree's in general and I think graduates focus too much on the degree itself and instead should be focusing on the work experiences that they can gain during that time as well. Those are the additional things that set you apart from the standard diploma you receive, since universities/colleges are churning them out in the thousands. Personally I think business is quite practical and applicable and doesn't necessarily require additional schooling compared to other degree programs like a Bachelor of Arts or even Science. Before you obtain your MBA you should have a clear picture of what you would like to gain. Is it a bigger salary? Is it a better title? If you plan on returning to your old position maybe you do not even need an MBA degree. Getting your MBA is a big step and takes time and money. Between time on GMAT and just taking time off work for the program itself you are going to have to really know what the degree will do for you. I think a business degree is a great choice and can be useful even in fields other than business. Most of my classes were very hands-on and less “you read about it so now you know it”. I have friend who have gone back and forth on this as well. The aspect is the ones who have more of a specialized area of minor tend to have better luck finding a job. I’ve scrapped the MBA plan for this year because I haven’t found it necessary quite yet. My business undergrad is getting me where I need to be career wise. It is always worth Business Degree will never waste here you will get success or otherwise you wont but otherthing is you will get chance to learn new things that will help you for your future.